Moving Forward in Faith. God is calling to reaffirm our faith. Sometimes God uses our brokenness to strengthen our Faith. 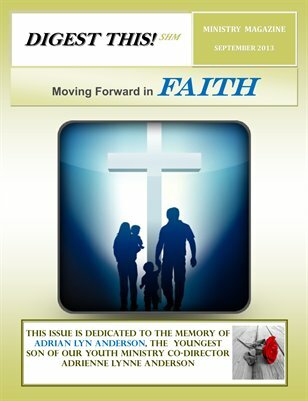 Issue is dedicated to the memory of Adrian Lyn Anderson, youngest son of Adrienne Lynne Anderson, Co-Director of Sacred Heart Youth Ministry.